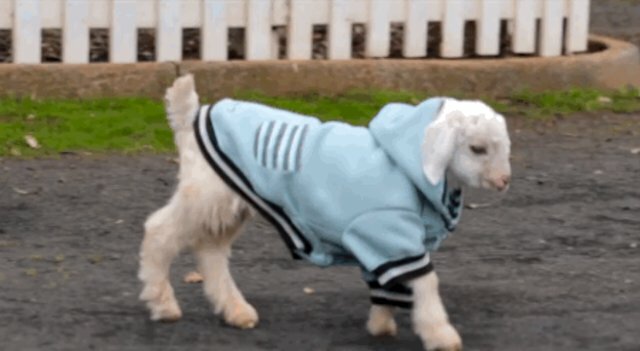 When this little goat, named Frostie, arrived to Edgar's Mission farm animal sanctuary in New Zealand last month, he was dehydrated, covered in fleas, and left unable to walk from a disease affecting his joints. 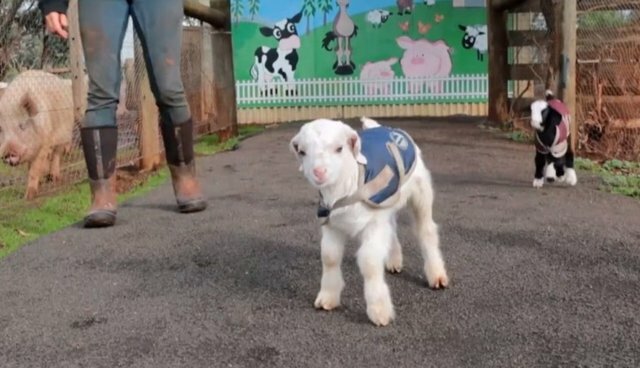 As a livestock animal, such a condition might have led to him being put down -- but Frostie's rescuers weren't about to give up on him. 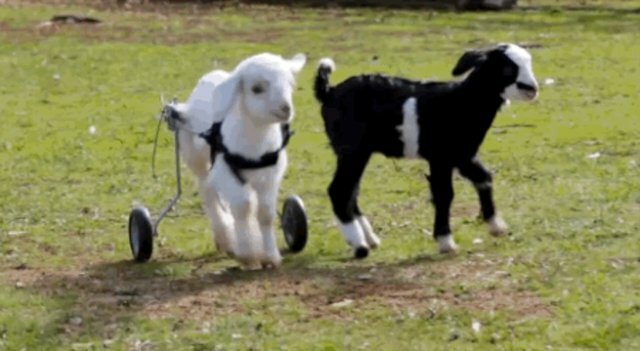 Volunteers at the sanctuary fitted Frostie with a custom-built wheelchair, and before long the precocious baby goat was up on two-hooves, free to play and explore the world around him for the first time in his life. 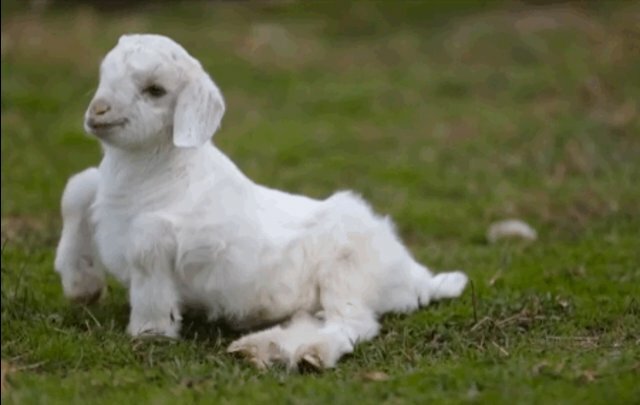 Slowly and surely, Frostie began to overcome his disability and gain strength moving around without the use of his wheels. 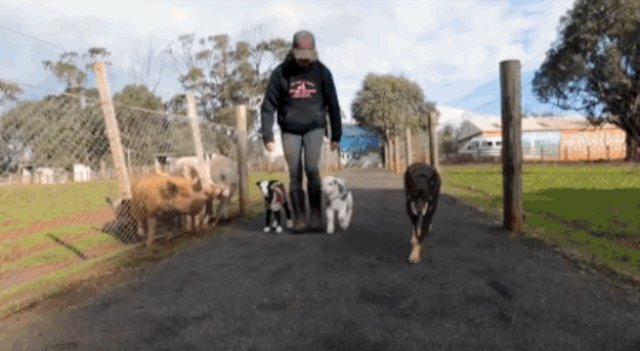 His first few steps were a little wobbly, but through sheer determination and the encouragement of volunteers, he learned to use all four legs. Now, a little over four weeks after arriving to the sanctuary, Frostie is walking completely unassisted, happily keeping up with his friend on the farm. It was only through the care and dedication of Edgar's Mission staff that the story of one little rescued goat's remarkable perseverance has been made possible -- proving yet again that, when given the chance, inspiration can come from the most unassuming places.